Story: It's 1971, a team of explorers with a company of soldiers are following myth and legend in the Pacific amidst rumours of an island where creatures both prehistoric and monstrous are supposed to live. Soon they come across Skull Island, the very island of lore and legend. The creatures they soon come across make the soldiers and explorers running for their lives. 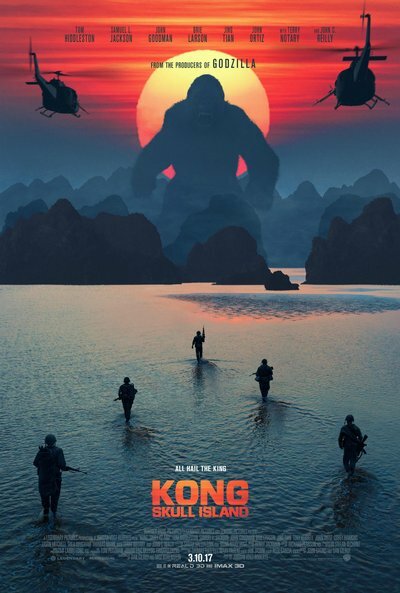 Soon Kong shows up to let all know that He is King of Skull Island and top of the food chain. Will they survive to tell their story? Will beauty win the heart of the beast?